The A.J. Sackett & Sons Company and Waconia Manufacturing, Inc., are pleased to announce the Formation of Sackett-Waconia. 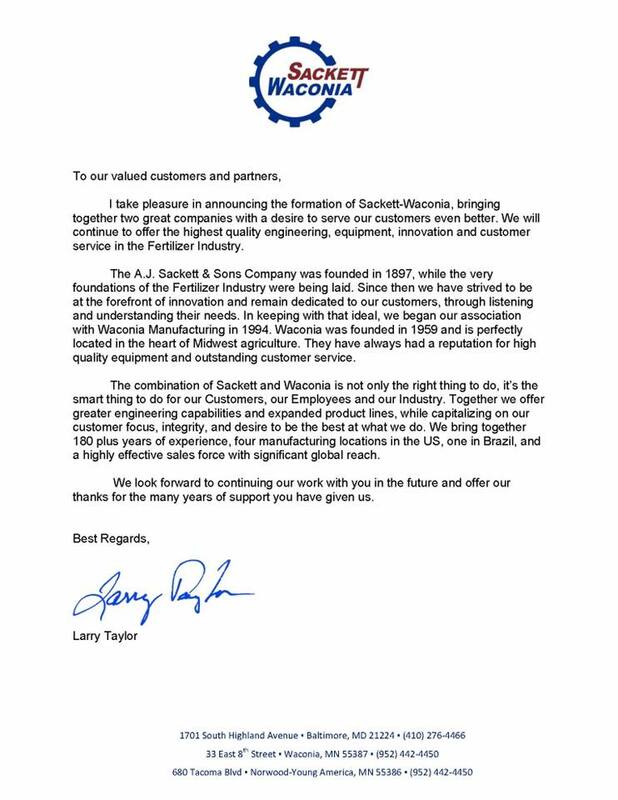 Please read the letter below from our CEO, Larry Taylor.